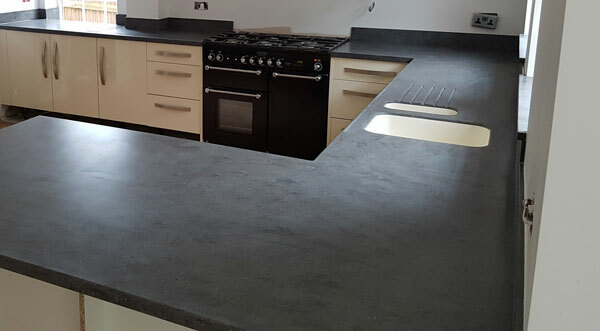 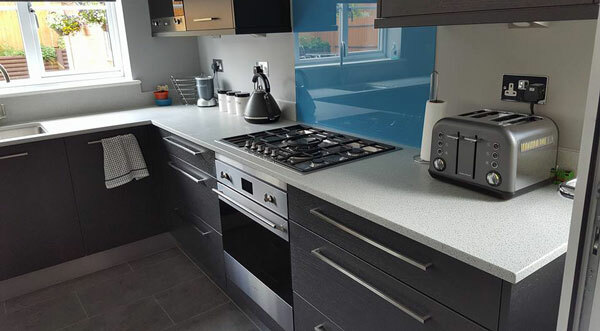 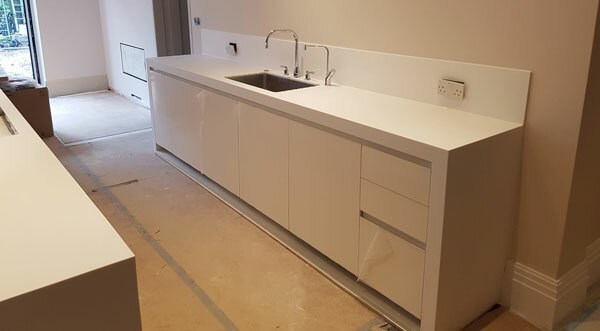 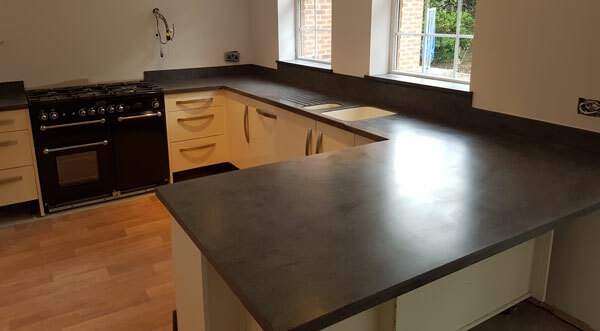 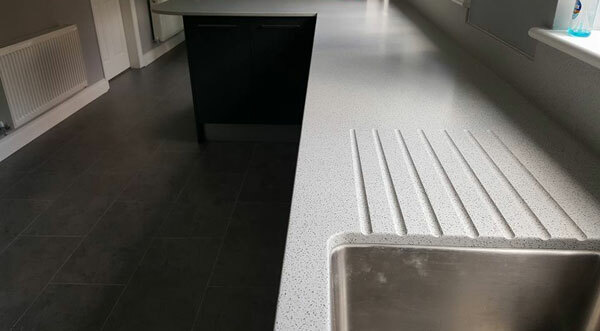 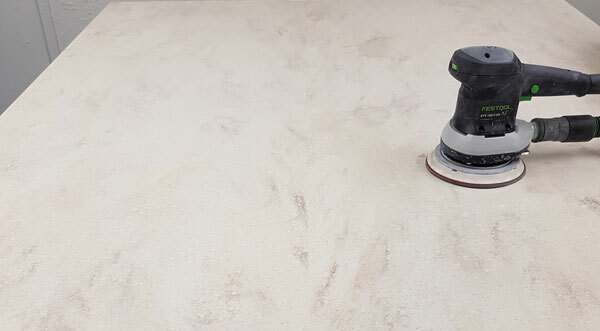 A stunning project in Corian® Lava Rocks. 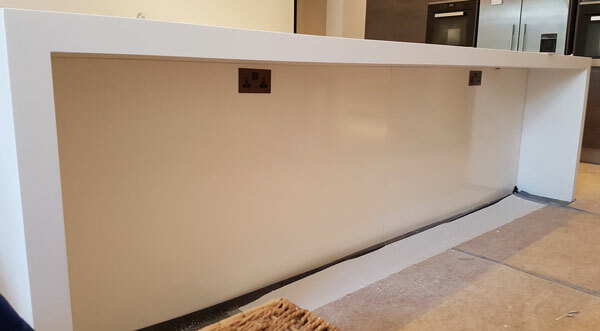 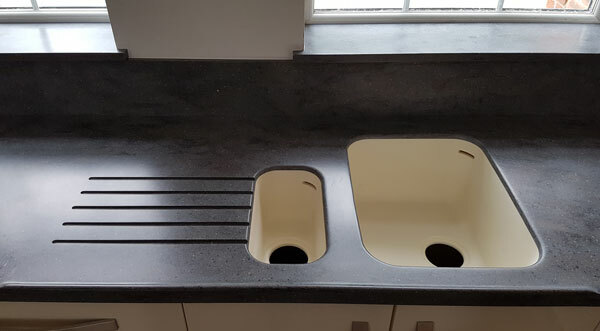 Waterfall edge detail by the double moulded sinks in Vanilla sweeping seamlessly up into the window sills. 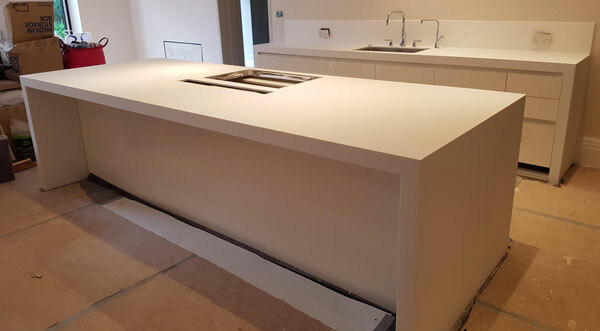 Moulded upstands all round flowing to a breakfast bar on one side and range cooker on the other. 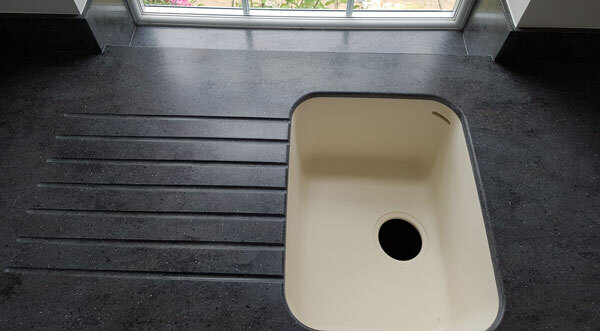 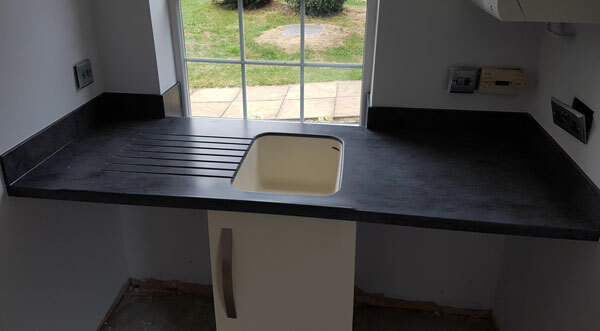 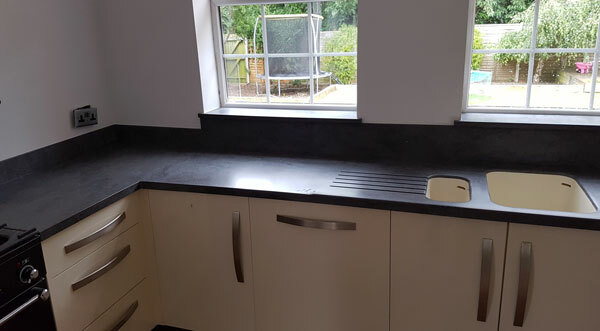 Matching utility with another undermounted sink in Vanilla leading down to a lower window sill this time.